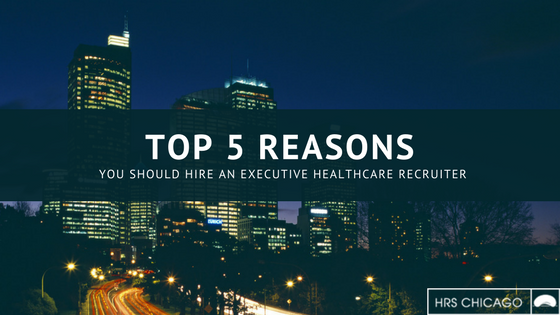 With recent reports showing job vacancy levels on the rise, it is important to understand why hiring an executive recruiter may be the right move for your healthcare company. The real costs or opportunity costs of an open position can be enormous. Many studies say that in profitable companies an employee generates 3 to 5 times their annual salary in value. So, if you leave a $70,000 position open for just one month, that is $18,000 to $30,000 the company will never see again. Think about it! Extended Network. Executive Recruitment Firms already have their own large network of qualified candidates. Recruiters are experts at identifying “serious” candidates who are motivated. You need an experienced healthcare recruiter with networks and tools to find these top career seekers. Research and Assessment. Executive Recruitment Firms do the research, screening, interviewing and filtering for you. You only need to concentrate on meeting the qualified candidates and making the offer. Your Brand. Healthcare Recruiters will help you define you company culture to become attractive to potential job seekers. The use of professional healthcare recruiters will force you to know and understand what to look for in a candidate. A recruiter has a firm grasp on what is already out there and can coach you on the realism of your position description, the availability of talent, and the cost of the talent you need. Knowledge of your market needs. Healthcare recruiters know exactly what the salary requirements are for all positions. They have done a competitor analysis to ensure you are offering competitive packages and are appealing to top candidates. Expert Healthcare Recruiters will educate and help guide a company throughout the process. Save you money. Using an in-house team involves paying ongoing yearly salaries. When you hire an outside recruitment firm, you only pay per successful placement.